rekordbox v5.2 – is it now the most complete DJ software? It’s only been 2.5 years since rekordbox DJ was announced, and with it Pioneer DJ’s signal that they wanted a significant (i.e Serato DJ’s) slice of the DJ software pie. Each release adds something else under the rekordbox umbrella that brings it up to speed feature for feature, and more. And with v5.2, the new lighting mode makes the newly announced RB-DMX512 interface play nice with DMX lights, and the software will make auto light shows for you. Easily sync lights with music via RB-DMX1, a new dedicated DMX interfaceThe latest version of rekorbox (ver 5.2) is now available to download. The updated software brings exciting new features to rekordbox dj including Lighting mode, which enables you to easily sync lights with your music during a performance. Using the advanced phrase analysis algorithm in rekordbox (ver 5.1), Lighting mode automatically creates exciting lighting sequences in sync with the tracks in your rekordbox library, drastically reducing pre-performance preparation time. The information generated in Lighting mode can be sent to any lighting fixture that supports DMX512 via the RB-DMX1, a new dedicated DMX interface. – KUVO Live Playlist which can share your playlist in real time. Currently you can check the playlist only on KUVO beta website. * KUVO official update is scheduled in March 2018. – Added an option to perform Instant Doubles when the same track is loaded to a deck. – Improved detection ability when database files in devices are corrupted. – The windows’ width of My Tag configuration/Related Tracks list/Information/Sub browser got bigger if these windows are shown/hidden repeatedly. 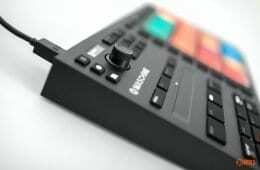 – With DDJ-RZX, FX display was turned off when BEAT UP/DOWN was pressed while FX was turned on. – On Windows audio driver of DJ equipment was not recognized if it was connected while only Lyric was selected in the global section. – Video crossfader worked incorrectly in External Mixer mode. – Audio output channels settings were not saved in External Mixer mode. – Related tracks could not show tracks from intelligent playlists. – Related tracks could not show tracks “From Selected Playlist” in the tree view in Ver5.1.0 or later. – Improved stability and fixed other minor issues. For the newest kid on the DJ software block, rekordbox certainly has come on leaps and bounds since its fully standalone launch back in September 2015. And on paper, it has the most complete ecosystem around too. Looking at the rekordbox offer, you get a free library manager, full DJ software for controllers, video, DVS, standalone automix operation, extra effects, lyric links, and lighting automation. And while not officially supported by Pioneer DJ, this is a relatively open architecture that allows you to run say a Serato mixer with rekordbox. Now I get that a lot of this is extra but it’s all rekordbox branded. And if you go with the rolling Pro subscription plan, that’s $17.88/£12.80 (currency conversion)/€15.90 (quoted price) inc tax per month, which if you’re a DJ who makes a living from spinning is a paltry amount as an essential tool. Serato offers a solid Serato DJ based package for $14.99, but it’s a closed ecosystem, and lacks features like the lyrics pack. 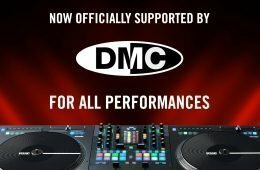 VirtualDJ does a pro subscription, which comes in at $19/month. And at this time, Traktor Pro doesn’t offer a subscription option for comparison. While it hasn’t quite got the uptake and market share of others, everything and then some is in place for rekordbox. It has an established hardware base installed in clubs around the world. It’s a matter of getting DJs to try it out, and to stick with it. The area in which it lacks presence is with turntable users via DVS. Given that the DJM-S9 supports rekordbox DVS with v5 and above, it’s ripe for experimentation with existing owners via the 30 day trial. More than that though, it needs a VIP scratch DJ to start using it before it’ll really make a dent in Serato’s huge market share. I suspect it’s just a matter of time and enough money too. Rane and Serato will however will be making that a very hard thing to do. The Seventy Two mixer is likely to snap a few of those potential switchers’ heads right back again. As far as rekordbox goes, it’s definitely time we took a deep look. If only we had some Pioneer DJ hardware to use it with.